Mysterious resource in SNES mini about MEGAMI TENSEI and ENTERBRAIN ? 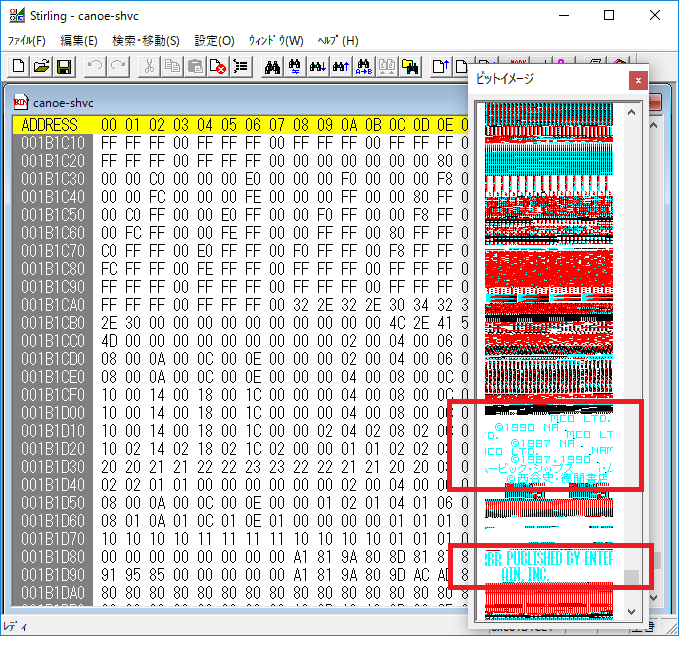 I found mysterious resource in SNESC stock emulator "canoe-shvc"
I know there string are relative to "MEGAMI TENSEI" , but why they are lying in emulator executable binary ???? And MEGAMI TENSEI is not included in SNESC in US or JP. More, There are "xBR PUBLISHED BY ENTER BRAIN,INC" resource. If you see in SNESC screen , tell me please when show up.